March in the UK signifies the first day of Spring, meaning better weather on its way, always great news for the outdoor based construction industry. However, with unseasonable snowstorms shutting down most production nationally. I’ve been considering the emerging robotics industry and the ways it could prevent such shut downs, along with the many other possible impacts on our industry. The construction industry has a reputation for resisting new technologies, and it’s not always undeserved. In an industry where very little has changed in terms of building techniques in several millennia, it can be hard to see why the latest development of new machinery is required at all. But in the changing face of today’s society and the ever-growing skills shortage that plagues our industry. Perhaps its time to embrace the advent of new technology and welcome construction robots into the fold. To date, there has been little automation in the construction industry. That is set to change in the coming years with rapidly developing technologies springing up globally. From brick laying robots to drones. Construction robots are pitted to increase production, improve safety of workers (yes, we will still need workers! ), and even improve on our environmental impact. But as with any changes, there are also negatives. The sheer cost of acquiring a drone alone doesn’t bear thinking about for smaller companies. Plus the technology is very new and relatively untested. Historically, robots have not fared well outdoors due to the changing nature of the elements. With this in mind, I consider the potential pros and cons of robotics for the industry in the near future. Safety is naturally a major concern for employers. Construction is an inherently dangerous industry, with exposure to the elements, working at height, load-bearing, and operating machinery. One of the major breakthroughs of robotics which can really benefit workers is the development of exoskeletons. The modern day back brace. Exoskeleton arms are emerging which can bear an additional 5-15lbs of weight per arm. Taking the pressure off the muscles and joints of laborers. Given the aging workforce in the UK, this can certainly be of benefit. Avoiding injury and deterioration in workers and allowing more to actually reach retirement age in a manual role. 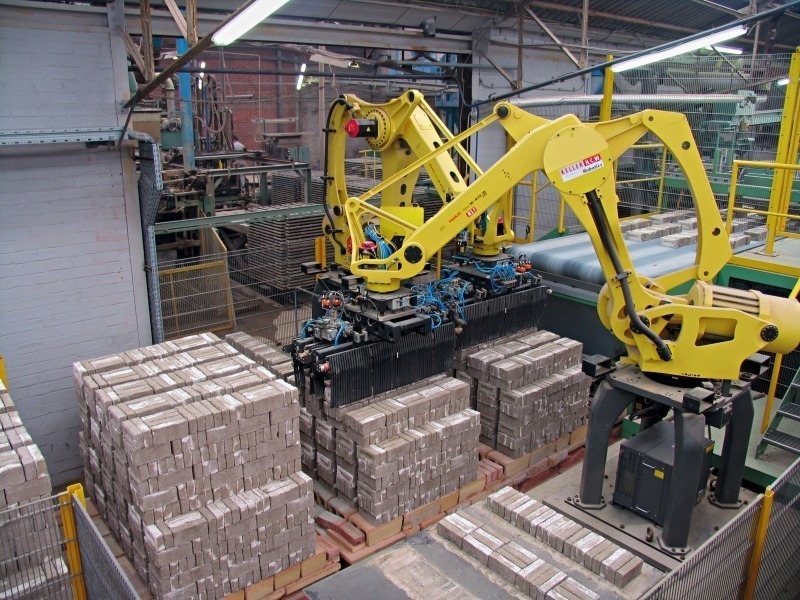 Additionally, brick laying robots can negate the need for working at height, with labourers simply required to feed the bricks into the machine, while robots like Hadrian (developed by Australian Fastbrick Robotics) lay up to 3000 bricks a day to 1mm accuracy! In terms of using robots for safety, we’re certainly behind the curve compared with other manual industries. Manufacturing firms – most notably automotive – have long been using robot arms to avoid risk to worker safety, negating the associated risks of trapped fingers. 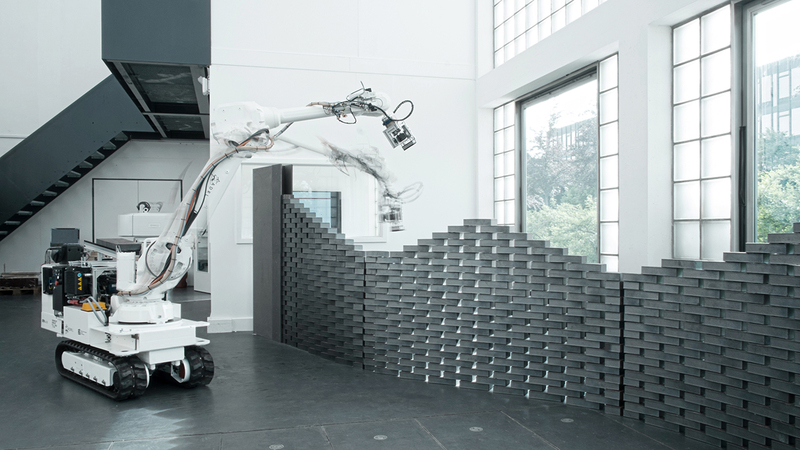 As noted above, the first bricklaying robots can lay up to 3000 bricks a day. Around five times more than an experienced bricklayer. They also do this with a near perfect degree of accuracy, regardless of speed. This is not something you can expect of even the most experienced brickie. As human nature means that we can either be fast, or accurate. Robots can also keep going in almost any weather, and do not require sleep or lunch breaks. Meaning, time can be made up more quickly if robots are involved. So, Hadrian and his American brother SAM (Construction Robotics) sound perfect, right? Unfortunately not. Unlike skilled workers, robots can only lay bricks on straight runs, not in complex designs or rounding corners. Meaning there still needs to be a large level of human involvement for anything creative or complex. Whilst brick laying robots will undoubtedly be of benefit to construction firms. The associated costs are still huge, and the machines themselves are far from a cure-all. Drones are also having a huge impact on production levels. Currently, with their ability to survey sites and feed back into automated computer systems allowing for anything from 3D mapping to driverless bulldozers. This is where the impact of robotics really comes into its own. With work able to continue throughout shut downs and free up labourers for jobs which require skilled workers. As I have examined previously, the skills shortage in the UK is becoming critical. One of the major factors is a lack of appetite for outdoor, manual work from school leavers. The introduction of robots into construction can alleviate some of these issues in two major ways. Firstly, despite some of their short comings, there are robots which can accomplish the work of multiple labourers in one day. Meaning, quite simply, that less workers required across a project. Secondly, and more importantly for future-proofing the industry, robots create an altered workforce. Whilst robots will eventually reduce the number of jobs directly required on a construction site. There will naturally be more roles created in the management and programming of the machines. Robotics and technology can change the skill sets and instead create roles which are perhaps more attractive to younger generations, raised on technology and somewhat averse to the idea of an all-weather outdoor role! Everything from labour to supplies is ever more expensive. Any money saving solutions will be welcomed because of the rising costs increasingly affecting construction companies. Robots are expensive; the capital outlay on a drone, driverless bulldozer, or bricklaying machine is not nominal, however is it one that can pay for itself in time? Robots do not require wages, time off, holiday pay, or sick pay, and they do not require a pension, making them significantly cheaper than employees on a daily basis. Additionally, they can get more done in one day than several employees, and they will not create a hostile working environment or a costly grievance procedure. Of course, they do require maintenance and a skilled employee to manage them, but, generally speaking, a robot can save a significant amount of money across a year compared to an employee. Further to wages, robots also work to a higher degree of accuracy than labourers (bricks can be laid to within 1mm, at speed, and lasers cut with absolute precision), which eliminates waste and the associated costs of human error. 3D printing is also becoming a major player in the construction industry, with everything from 3D printed concrete houses to bridge frameworks now a possibility. Due to the sheer accuracy and speed of 3D printing compared to labour, once we refine these techniques, the financial ramifications in terms of cost saving will be huge, especially as projects will be easier to deliver on time and budgets easier to manage. So, are robots the future? These are certainly exciting times for the construction industry globally. Robotics will definitely play a huge part in shaping the direction of how we build moving forwards. However, enormous changes are not imminent. Construction robots are still in development, and still very costly to purchase. They have many limitations, and absolutely will not be replacing the need for laborers anytime soon. But the future certainly looks bright. The skills shortage which has been so daunting to employers now looks to have something of a solution, and for those concerned that construction robots will ‘take’ human jobs, consider the new, safer roles they will create for a new generation of workers instead. Construction robots will fill skills gaps, lower costs of production, impact positively on environmental issues, and speed up project delivery. But we are only at the beginning. As employers, for now, we need to embrace the technology that can help us. Guide the direction on new developments by liaising with the providers. To ensure that as a construction industry we get the solutions we require, rather than fighting against the inevitable changes. Mike co-founded Dribuild and has been a key player in helping the Firm to fulfill its potential over the past 8 years. He has over 29 years experience in the Interiors Industry.